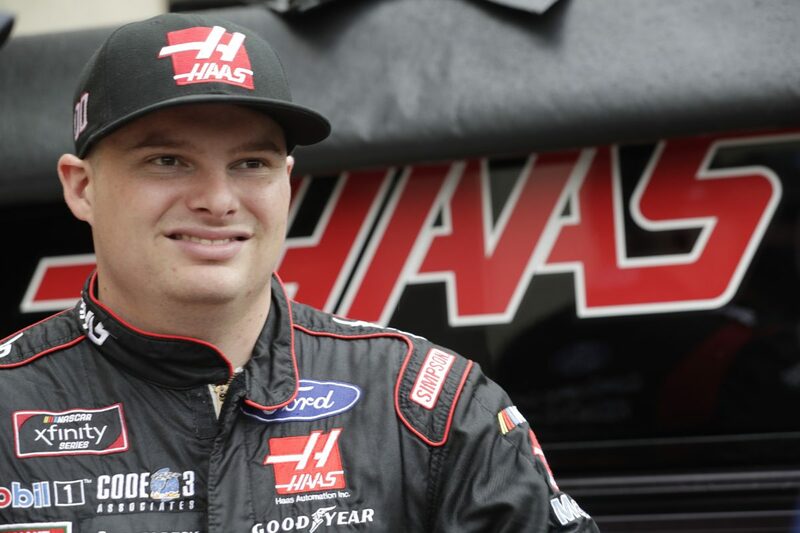 ● Cole Custer started fifth, finished third and earned eight bonus points. ● When the green flag waved Custer was inside the top-five, but he got caught outside of the pack and fell to eighth place. ● He pitted under green-flag conditions on lap eight for two tires, fuel and chassis adjustments. ● While he was exiting pit road, the caution was brought out. Custer was ahead of the leader when the caution came out, therefore staying on the lead lap. ● During the caution period, most of the field decided to pit in front of Custer, promoting the No. 00 Haas Automation Ford Mustang to second place. ● Custer ran in third place until a multicar accident erupted just one car length behind him. He opted not to pit during the caution period. ● He restarted the one-lap shootout on the front row and raced the No. 7 car for the lead until a four-wide finish put Custer in third. ● Custer started 12th, finished fourth and earned seven bonus points. ● The Haas Automation Ford driver raced inside the top-10 for the majority of Stage 2. ● On lap 50 Custer radioed there was a vibration in his right-front tire, but crew chief Jeff Meendering said multiple cars were having similar issues. ● Several cars pitted under green while Custer stayed out, advancing the No. 00 Ford Mustang to fourth place. ● When the stage concluded, Custer pitted for four tires, fuel and adjustments. ● Custer started seventh, finished 29th. ● Custer battled just outside the top-five until he attempted to make a block and was clipped on the left-rear quarter panel, sending him into the wall and ending his day. ● The Lilly Diabetes 250 was originally scheduled for Saturday, Sept. 8 and was postponed to Monday due to inclement weather. ● NASCAR Xfinity Series practice and qualifying was also cancelled due to inclement weather. The field was set by owner points. ● Custer earned 15 bonus points at Indianapolis. ● Seven cautions slowed the race for 31 laps. ● Justin Allgaier won the Lilly Diabetes 250 to score his 10th career Xfinity Series victory, fifth of the season and first at Indianapolis. His margin of victory over second-place Tyler Reddick was .092 of a second.